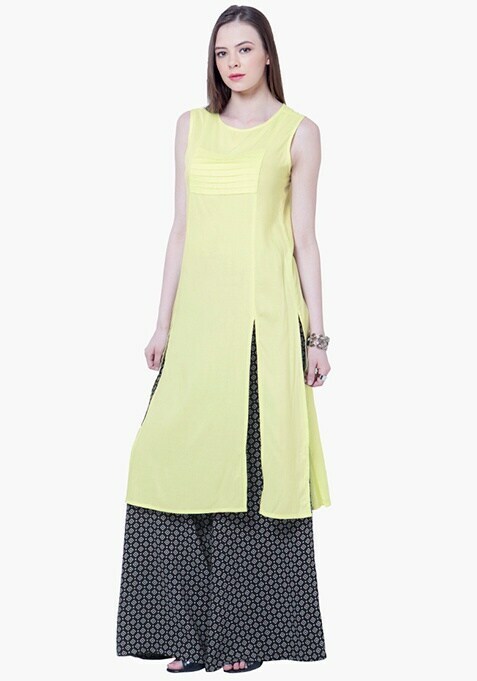 Look effortlessly classy wearing this stylish tunic featuring pleat detailing on the front, round neck and front slits. Regular fit. Work It - Team it up with leggings and skinny heels to get showered with compliments wherever you go.